I am not a huge fan of the executive sedan class. I just don’t see the point of paying a premium for a vehicle that has a less useful luggage area compared to a hatch back, because with the current range of five-door hatches, that’s really the only difference. But that segment is occupied by some of the best-selling cars of our generation: the BMW 3-series, the Audi A4 and the Mercedes-Benz C-Class. 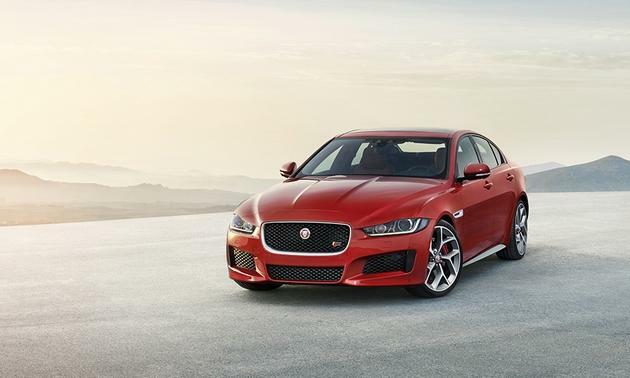 Jaguar is hoping to add a fourth contender to that line-up with the arrival of the XE, a smaller four-door saloon that it hopes will disrupt the status quo and ultimately gain the brand market share. From the outset, the XE is a good -looking vehicle, thanks to its XF-inspired nose and high waistline, but I found it a bit formless at the rear. There isn’t a clear rear light cluster graphic when the lights are off, such as when you are parked, and it all ends up looking a little too much like an E90 3-Series. It does certainly look smaller than the XF and not only because the XF is a titanically sized vehicle compared to its class mates. No, the XE does feel compact from the outside, which can be a good or a bad thing — but I think the footprint is a positive, especially while it is still relatively rare on the roads. The cabin is quintessential Jaguar. The rising gear selector is still present, as is the heart beating start button, but that is about all that is shared the XE and the XF. 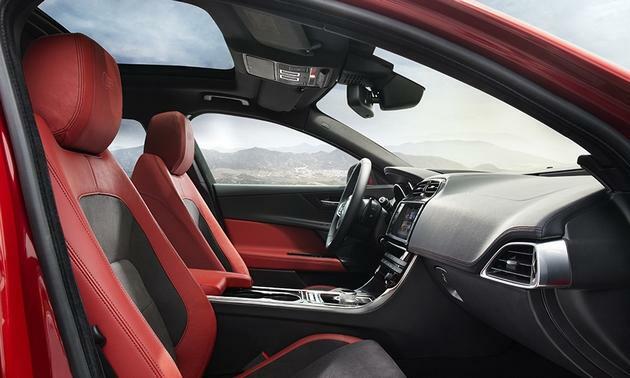 The centre console, dash,cabin sculpting and multimedia software are all new and, for good or bad, definitely separates the XE from the XF’s aging interior. The cabin seems big but the sculpting ends up eating into the interior quite heavily. The door inserts curve upwards to form a sort of decking at window level, which wraps around the cabin from door to door under the windscreen. It adds interest to the cabin, but does make it feel smaller than it is, which along with the oversized centre tunnel takes the cabin from snug to compounded. The rear window is also placed relatively high and is very narrow, making it difficult to see out of the back of the XE. There are three engines to chose from in the XE: a 132 kW 2,0-litre diesel, a 177 kW 2,0-litre petrol, and 250 kW 3,0-litre supercharged petrol. Our XE came with the smaller petrol engine and even though it is labelled a “2.5t” on the rear of the car, it is actually a turbocharged 2,0-litre four-cylinder motor. It has plenty of shove and feels stronger than the kiloWatts suggest. 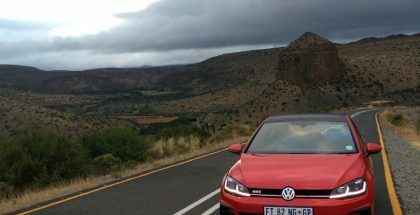 The eight-speed gearbox is also well suited to the car and is quick to react, even though it is not of the newer dual-clutch variety. One of my main annoyances with Jaguars in the past has been that it takes too long to set the car up for a dynamic drive. Thankfully this has been solved with a dynamic selector that is placed just below the gear selector. You can now easily flick through Dynamic, Eco, Normal and Ice modes, as well as turn traction control off with a simple button. 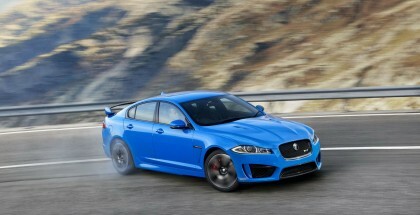 Unfortunately all that the Dynamic mode highlights is that the XE is not suited to being pushed too hard. The engine has the capacity but the chassis, suspension and steering seem less formidable when faced with a long, high-speed corner. I know that this is not really a sports car, but given that the XE is pitching itself against a BMW 330i I would have expected it to be more at home at speed on a highway. Still, the straight-line figures credit the Jaguar with a 6,8 sec 0-100 km/h sprint time, which is fairly brisk – but the BMW 330i, for instance, dips below 6 sec for the same sprint. And then there is the price. Our 2.5t in R-Sport garb starts at R662 600, nearly a full R100 000 more than a M-Sport BMW 330i. The BMW also has more power and offers a more dynamic drive. But then the Jaguar is new and still a curiosity on the roads, and because there isn’t really an entry level model (even the diesel in the plainest of Pure specifications is still R534 000) there will be less of them. The interior, while not my cup of tea, is certainly a drawing card, if nothing more than a counterpoint to what has been on offer from the three German manufacturers. Based on price, Jaguar has tried to position the XE in such a way that it will not be the default choice as far as the executive sedan goes. For the marque, this is probably a good thing because the car is interesting and new — which is exactly what a buyer who wants to stand out from the crowd is looking for. 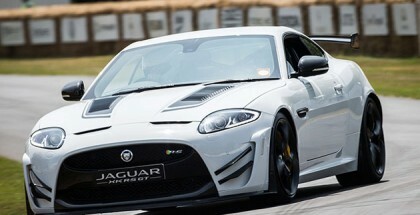 It is certainly able to challenge the stalwart trio, and any buyer will probably be happy with what Jaguar has come up with if, like the British brand, they favour luxury over outright performance.